On this date the 12th of June in 1987, our maternal Great Grandma Wright passed away in Catahoula Parish, Louisiana. 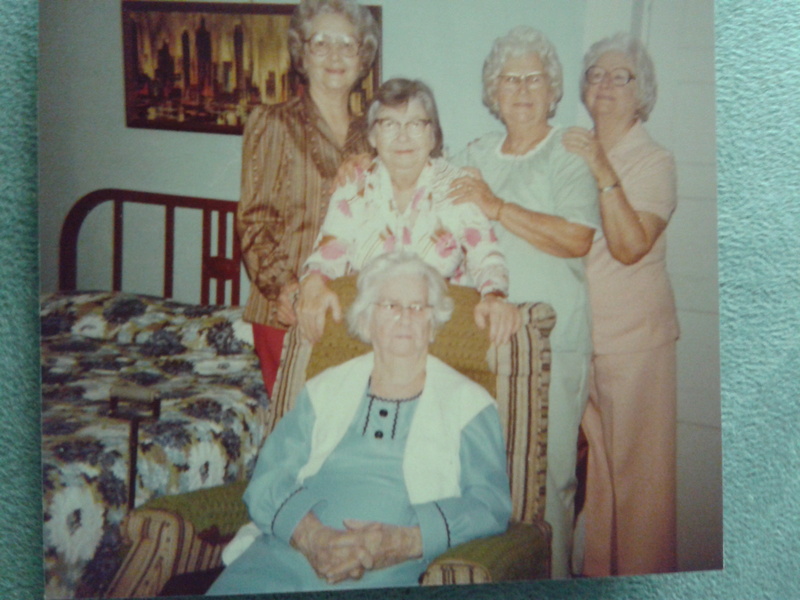 Gracie P. Wright (seated) with her daughters, from left to right, Irmarie Scott, Daisy Wright, Ruth McMillin and Dee LaPrarie. Today I wanted to honor her memory by sharing a few of her recordings. On a visit with my Aunt Irmarie, I was able to capture this video on my old Nokia phone of us listening to Grandma Wright singing and praying. These were originally recorded on an old cassette player around 1983 when she was 95 years old. Sorry for the low quality, but those who knew my Grandma Wright will appreciate it none the less. Church at Manifest. Services were held at 2 p.m. Sunday at Pisgah Baptist Church with Revs. K. G. Brooks and Lucian Conway, officiating. Burial followed at Heard Cemetery of Manifest with arrangements by Kinner and Stevens Funeral Home of Jena.